For snowbirds looking to escape the cold and snow, Miami is a wonderful place to spend the holiday season. 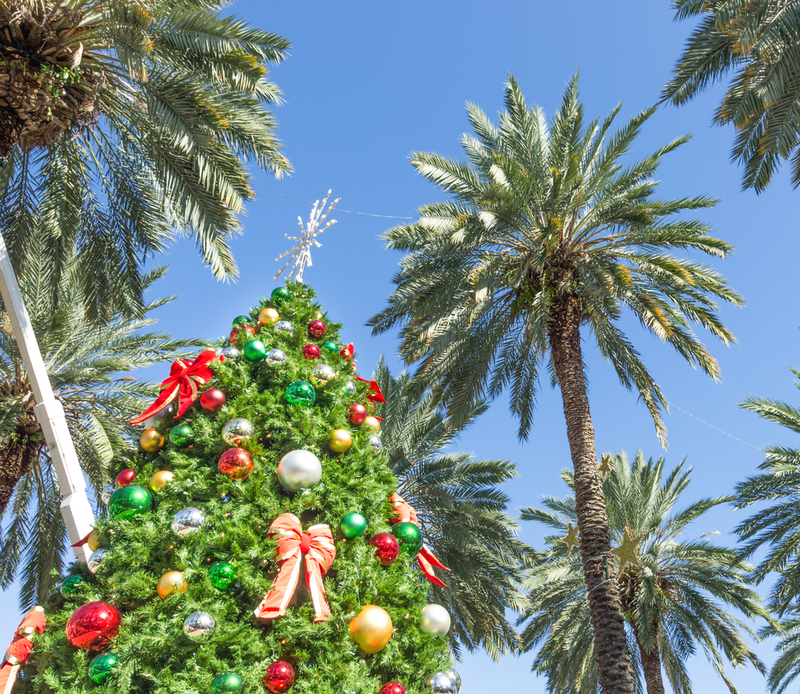 When you’re not relaxing on the beach, you can celebrate the season with these fantastic holiday events. Here are the best holiday events in Miami from resident Afaf Jbara. Santa’s Enchanted Forest is one of Miami’s favorite holiday traditions. Featuring over 100 amusement rides, carnival games, shows and attractions, Santa’s Enchanted Forest is the largest holiday theme park in the world. The winter wonderland themed amusement park features exciting rides for the whole family, including kiddie rides, roller coasters for all levels, and thrill rides like the Mega Drop and Windstorm. In addition to the wonderful rides, you can enjoy a great selection of carnival treats, including funnel cakes and fresh donuts, and the kids can get their photo take with Santa and his helpers. The park is open from 5 p.m. to midnight. Visit the official website for more information and ticket prices. Zoo Miami is hosting several special holiday events this year, including Zoo Lights and Holiday Gifts for the Animals. The Zoo Lights attraction features over half a million bright, animal-shaped lights and sparkling tree lights. Along with experiencing the fabulous light display, you can enjoy hot chocolate and cookies, carousel rides, Yuletide carolers, pictures with Santa, shopping and more. With the exception of Christmas Eve and Christmas, Zoo Lights is open every night from December 18 to 30 from 7 p.m. to 10 p.m. Humans aren’t the only ones who love the holiday season— animals love it too! Watch the zoo animals enjoy their holiday presents and special treats at Holiday Gifts for the Animals. Each day has several event times when you can see all kinds of animals, from jaguars, elephants and kangaroos to lions, otters and tortoises, open and play with their gifts. Refer to the official website for event details and pricing. Join one of America’s most-beloved dance companies as they perform George Balanchine’s The Nutcracker. With performances set for December 17 through Christmas Eve, you can watch as Marie and her Nutcracker Prince travel through a winter wonderland featuring sugar plum fairies, dancing snowflakes, and heroic toy soldiers. Visit the official website for show times and ticket prices.